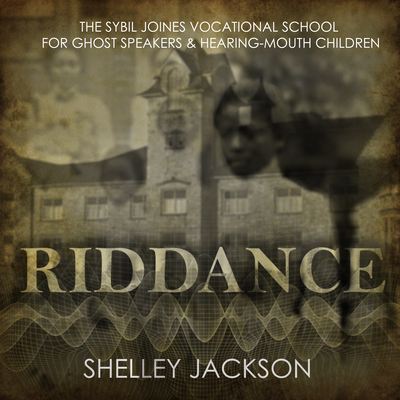 Eleven-year-old Jane Grandison, tormented by her stutter, sits in the back seat of a car, letter in hand inviting her to live and study at the Sybil Joines Vocational School for Ghost Speakers & Hearing-Mouth Children. Founded in 1890 by Headmistress Sybil Joines, the school-at first glance-is a sanctuary for children seeking to cure their speech impediments. Inspired by her haunted and tragic childhood, the Headmistress has other ideas. Pioneering the field of necrophysics, the Headmistress harnesses the "gift" she and her students possess. Through their stutters, together they have the ability to channel ghostly voices communicating from the land of the dead, a realm the Headmistress herself visits at will. Things change for the school and the Headmistress when a student disappears, attracting attention from parents and police alike.